Geo Info Strategies has successfully completed project of Survey of public property units in municipality of Backa Palanka, funded by EU Exchange Program. For the purpose of systematic update of cadastral database in city of Backa Balanka, new aerial survey was conducted in order to provide data about existing land parcels and buildings in public ownership. 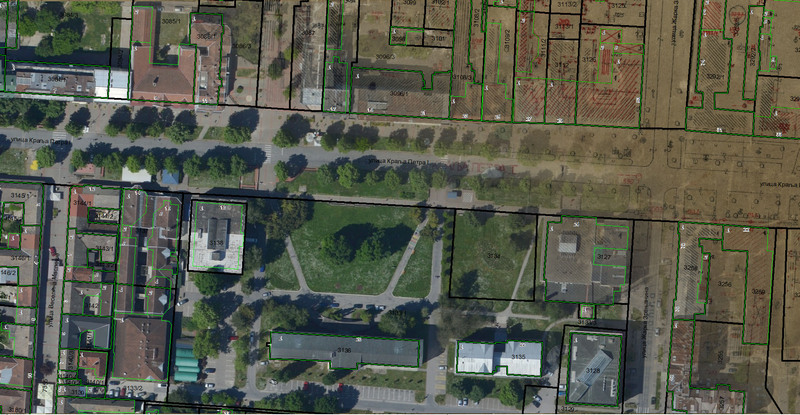 Existing data about public property units was extracted from official cadastre database, and compared with properties actual status from vertical and oblique aerial images as well as field survey results. Significant differences were detected, systematized and presented to local administration authorities. Based on this report, local administration of municipality of Bačka Palanka has successfully fulfill its legal obligation of registration of public property units.